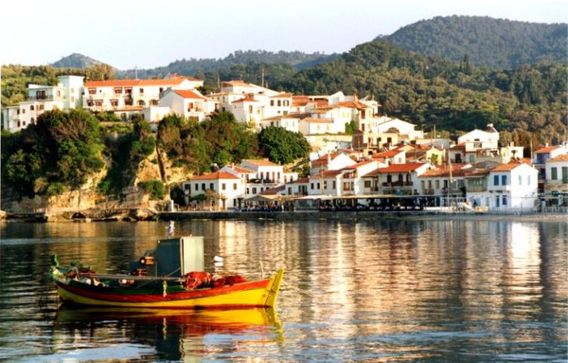 The coastal settlement Kokkari is located 10 km north-west of the Samos island capital. It is built in a privileged location, because it combines idyllic green surroundings together with the beautiful pebble beaches. 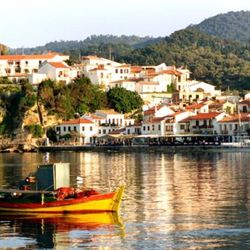 The region has shown a significant growth of tourism, during the last years and it has developed into a cosmopolitan resort. As far as entertainment is concerned, there are many restaurants, cafes, bars and clubs all over the village. 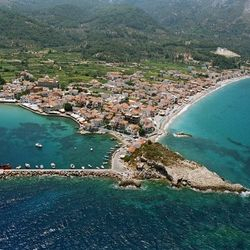 Kokkari is picturesque and it is famous for its beatiful beaches. 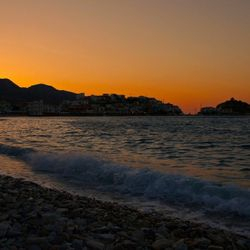 Apart from the village's traditional beach, "Ammos", where our hotel is, the visitors can also enjoy swimming in the crystal clean waters of Tsamadou, and Lemonakia Beach. For the history we report that Kokkari took its name from the onion production process (kokkari = small tuber of onion).